Time to Vote... for JEITA GROTTO !!! With parliamentary elections fever heating up in Lebanon, it is only fair to say that we desperately need to get our attention on other less stressing issues. And I just learned about one... 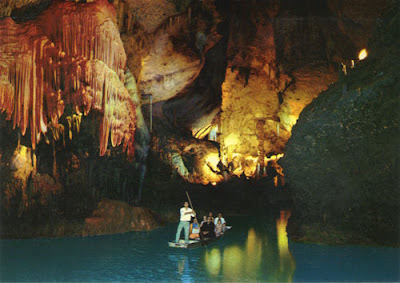 Seems JEITA GROTTO (aka Mgharet Jeita in Lebanese) qualified for the next round of elections for the New7Wonders of Nature. I was quite happy given that I participated in the first round of voting like many of you, but wasn't really expecting that we'll make it to the first round. Let's admit it, we are like 4 million Lebanese in the motherland, and maybe some other 20 million spread all over the world, and that's nothing compared to other countries.... Still... WE MADE IT. So, let's do it again, and vote in this next round. As of posting this blog entry, we are ranked 7 in our category... not too bad. I will be putting the voting ad on my blog until the vote is over. You can also click here to go to the voting page. It's been a while since I wrote anything here... I was lazy... but hopefully that's over now. Maybe I was uninspired, maybe I couldn't find any subject that wouldn't be interpreted politically. Not that I am neutral, I AM NOT. I even get into heated debates that lead nowhere. By now, it is clear that nobody will change their political beliefs... You already know who you will vote for... Probably the same people your ancestors used to vote for. Anyway, coming back to blogging... I saw today a billboard for the new Green Party of Lebanon. Yes, seems there is a bunch of environmentalists who started a new party. Will it be an effective party with bold initiatives, or simply another reason for some people to meet and issue statements ?